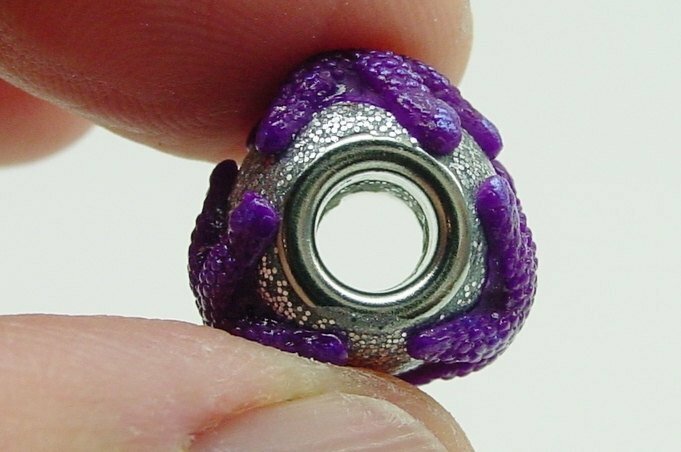 This tutorial teaches you how to create 3 different perfectly shaped large-hole European style beads with eyelets or grommets that fit Pandora bracelets or similar chains. 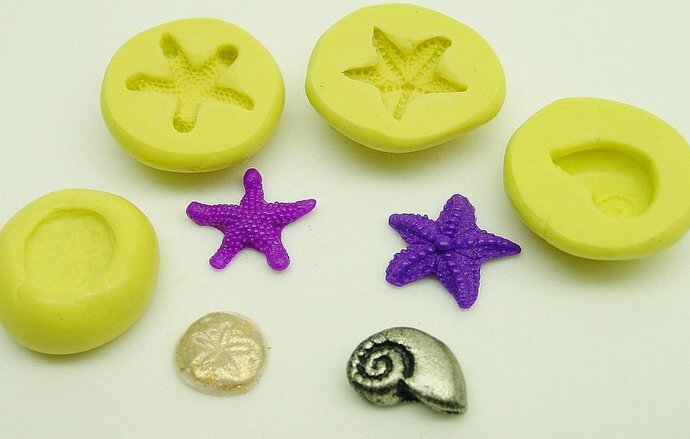 These beads are decorated with a sea or beach theme using 4 silicone molds, but you could create your own molds or apply your own embellishment. 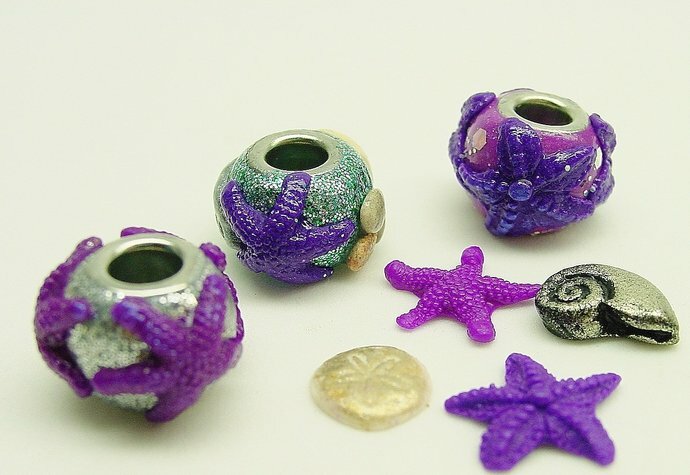 This tutorial will show you a rounded shape as well as a textured barrel shape, how to cover the bead in glitter, how to seamlessly smooth 3 D aspects to the bead and many other tips. 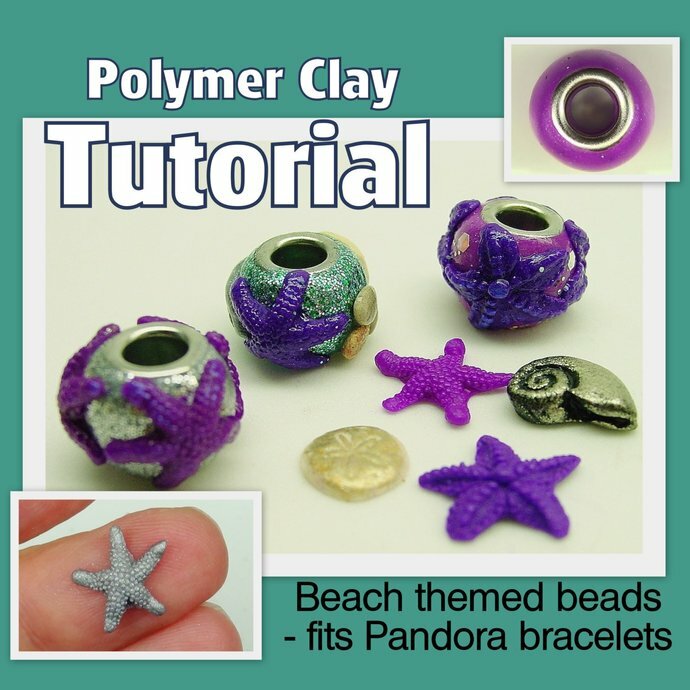 Tutorial consists of 13 pages, 46 steps and 50 clear photographs and instructions.